SUse MyCyberCafe to remote control your individual terminals, add time or money, end session or reboot your terminals from a central location. In the user account overview you can create a new user account, edit or delete a existing account. In the Prepaid-Codes overview You can create a new code list, edit, delete, export or print a existing Prepaid-Code list. MyCyberCafe's statistic will show you all statistical information about the cash sales, session transactions, and logins report. You can either use the filtering function to adjust the number of data records displayed at one time. You can use MyCyberCafe as intelligent POS-System. Use this manager to start a new prepaid session, add money or sell a product or prepaid-codes to a customer. The windows policies allows to prevent the windows configuration changes at the clients and restrict your Windows or certain application. MyCyberCafe support simple, scaled prices and day-dependant rates. Activate this option if you are using a terminal server or the Thin-Client hardware. 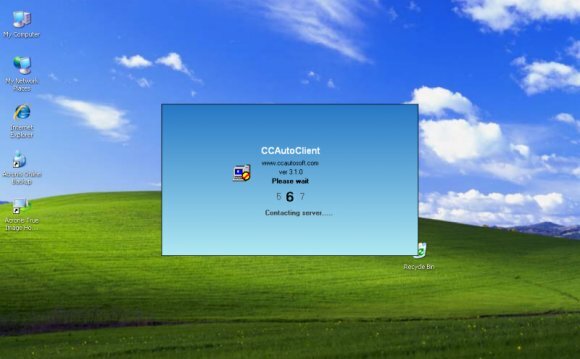 Each Thin-Client needs to have its own Windows user. Members can login by entering their username and password, or a valid Prepaid-Code. The Sitecharge-Menu will automatically displayed after successful login. Flatrate is access to your Internet at all hours and days within the booked time at a fixed and cheap tariff. MyCyberCafe supports connections of unencrypted ccTalk Coin acceptor and Bill validator. MyCyberCafe was successfully tested with Coin Acceptor EMP 800.14 USB (WhBerlin) and Bill Acceptor NV10 USB (Innovative Technology Ltd (UK)).